Search the newest homes for sale in Lake Highlands & real estate listings below. To change how the search is displayed, click the gray button next to "Sort By." Using the button below, you can sort homes by prices or days on the market. For information about neighborhood properties for sale in Lake Highlands, or to request a showing on a house, click "Schedule a Showing" when viewing any listing. You can also create and save a custom home search by clicking the "Save this Search" button and register for a free account. A custom search will allow you to receive email alerts when new Lake Highlands real estate listings hit the market. KnoxRE.com is updated every 15 minutes by a direct feed from the local Dallas-Fort Worth MLS which will give a visitor desired information for real estate in Lake Highlands like property images; days on market; subdivision information; feeder school information; HOA dues; frequency of the HOA dues; estimated county taxes and more. If you see a property displayed, it means the home is still available for purchase. Our site only displays currently active houses for sale in Lake Highlands. If a listing goes under contract, it is removed from the listing display for ease of use and navigation for visitors. To view more Dallas homes for sale near Lake Highlands, see the alphabetical list of subdivisions in the area below. Click on any of the listed subdivisions below to visit that neighborhood's page. If you would like to view all Dallas real estate listings, click on the link at the top of the page. Houses in Lake Highlands were initially built around the late 1960's and early 1970's. This is the time when the area's real estate experienced a significant boom in construction and popularity as developments in the City of Dallas moved further "north" of downtown. Buyers of Lake Highlands homes will find properties with traditional architecture, mid-century modern real estate, as well as European inspired architecture on new construction, modern/contemporary inspired designs, and even small cottage and bungalow style properties (mainly found in the older part of Lake Highlands). Pricing on homes for sale in Lake Highlands tends to go from close to $1,000,000 for the luxury properties in the area to the mid $300,000's for smaller listings. On the condo front, Lake Highlands offers some very reasonably priced condos as low as $50,000. Square footage on average homes in the area runs from approximately as low as 1300 to as high as over 7500 with one and two story floor plans available. Buyers may also find homes with two bedrooms to five bedrooms. The houses in Lake Highlands are generally slab foundations. However, older properties in the neighborhood may be a pier and beam foundation dating back to the earlier days of the community. With the original age of the homes, some of the properties may have already been updated to fit today's popular building trends while other listings may need to be updated and might be an excellent buy to somebody wanting to tackle a renovation and project to do on their own. There are two, general "sections" of Lake Highlands homes. The first section of houses is zoned to Lake Highlands Junior High School, and the second section is zoned to Forest Meadow Junior High. Homes zoned to Lake Highlands Junior High were typically built in the 60's to late 70's, while the homes on the Forest Meadow side of the area were built in the late 70's to the early 90's. Most of the houses in the Forest Meadow side will typically have square footage, on average, than the homes on the side of Lake Highlands Junior High. One of the best things about real estate in the area of Lake Highlands is that there are very few tract-style homes. Almost all properties will be on custom floor plans. Lake Highlands was built and developed prior to the boom in tract-style subdivisions which are so common in the newer suburbs of Dallas. Traditional homes are plentiful in the Lake Highlands area. In fact, as a rough estimate, probably more than 85% of the houses for sale in the area are traditional architecture. Traditional architecture in Lake Highlands started around the late 1970's on the east side of the area, but are predominantly the style on the western side of the neighborhood. If you're looking for that Traditional styling, Lake Highlands has plenty of these homes for sale to offer. The truest modern homes in Lake Highlands were originally built starting in the late 1970's. Most of the modern properties for sale will be custom built floor plans and generally have generous square footage. The western side of the area is where buyers will find contemporary architecture. The older side of Lake Highlands does not have many if any, true modern styled homes. To be specific, the more substantial modern real estate will be "dotted" around the area. But buyers can find smaller modern homes in Lake Highlands near Skyview Elementary. There are some excellent, smaller contemporary properties with three to four bedrooms and usual square footage between approximately 2,000 to 2,800. The trendy cottage and bungalow style of home in Lake Highlands will be found in an area the locals like to call the "L Streets." While these bungalow homes are smaller properties - usually under 2,000 square feet with two to three bedrooms and one to two bathrooms - the prices per square foot are high. This style of home is very in vogue right now and generally, receive multiple offers as the houses for sale in the L Streets area hit the market. This is especially true if the home has been updated, yet maintains its original architectural appeal. Built in the 1950's and 1960's, the homes in this part of Lake Highlands were the first houses in the area. Lake Highlands was brand new back then and popular building trends of the time were small cottage style homes. They still remain very, very popular today! Lake Highlands is located in the 75231, 75238 & 75243 zip codes of Dallas. Lake Highlands real estate is defined as south and west of LBJ Freeway (635), east of Central Expressway (75) and north of Northwest Highway (Loop12). The proximity of the neighborhood allows residents quick and easy access to both 635 and Central Expressway. Some of the other popular Dallas neighborhoods around Lake Highlands include but are not limited to Casa Linda, downtown Dallas, Northpark Mall, Highland Park, University Park, SMU, Uptown, Victory Park, Oak Lawn, Lakewood, White Rock Lake, and the M Streets. When that neighborhood is surrounded by aged oaks and other trees, abundant green spaces, parks, water, and quiet streets, you know it’s an excellent place to live. Add to that a population of a mere 92,000, and you have a nice place to live. People moving to Dallas wonder why residents choose a specific area of Dallas in which to live. Family-friendly, good schools, superior amenities, suitable employment, and relaxed lifestyle attract many newcomers to a neighborhood. Lake Highlands enjoys all of this and more. Lake Highlands began in the 1950s as your basic Dallas suburb northeast of the city with excellent schools and proximity to the charms of the town. Twenty years later, the suburb was further developed, bringing in more homeowners. The area remains a grassy, hilly, very green and popular suburb of Dallas. Some cities allow their ‘burbs to be developed to a fare-thee-well, both by residences and shopping centers, eliminating areas for relaxation, picnics, games and family get-togethers. Lake Highlands is special. The temperature generally stays at a comfortable 84 degrees. It retains its laid-back family-friendly lifestyle to this day, and you’ll have to travel some to see a shopping center. With the cost of living eight percent lower than Dallas along with a quality of education ten percent higher than Dallas, living in Lake Highlands is a no-brainer. The professions of residents range from the service industry to the legal, computer, financial, arts and entertainment, architecture and engineering industries. You can’t do better than Lake Highlands’ Offshore’s Nextdoor. A little difficult to find (vine covered sign and located behind a carwash), it’s nevertheless the only place to go for seafood lovers. Nature’s Plate, for the organic crowd, features dishes traditionally made with meat but with a plant-based twist (can’t wait to try the brownies!). Feel more like eating a burger? Keller’s Drive-In has old-fashioned carhops who bring your food right to your car (including a beer if you wish). Best burgers in the state! The initial development of the residential real estate portion of new Lake Highlands Town Center will consist of 200 brand new lofts, condos and flats with more residential housing planned in the future. The future new construction will include townhouses & patio homes which will balance the look with the retail intertwined into the housing sector of the Center. Each unit built in the Center will consist of upgrades like granite counters, stainless appliances, wood flooring in the living rooms, bedroom ceiling fans and views of either the lake or nightlife. The residential community will have a large resort pool, clubhouse, fitness center, tanning beds, coffee bars & Wi-Fi hot spots. When the locals say that it’s no surprise that the school system is the major attraction of a neighborhood, you know it’s an excellent place to live. Thirteen elementary schools, two junior high schools, and two high schools give Lake Highlands young people an excellent education. As a bonus, almost all houses for sale in Lake Highlands are zoned to the Richardson ISD. 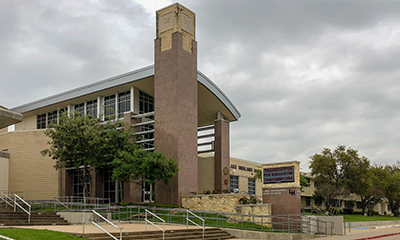 Residents also have a local college, Richland College, right in Lake Highlands, which is an award-winning community college and the larger colleges and universities located in Dallas. Considering looking homes for sale, or selling a house in the Lake Highlands area of Dallas? Knox & Associates real estate agents are Lake Highlands neighborhood experts, and we are here to help! If you are looking at real estate for sale, contact us to schedule showings of the properties that catch your attention. For sellers, our Lake Highlands REALTORS® will schedule a convenient time to meet for a consultation; create a custom, full-market analysis of your house; and, formulate a fair-market opinion as to the best asking price for your home. We can provide up-to-the-minute Lake Highlands Dallas real estate statistics: current average asking prices on the homes for sale; the sales' history of currently sold houses in the Lake Highlands neighborhood; and, information about broader Dallas, Texas market trends so that you can make a well-informed decision. Knox & Associates' REALTORS® in Lake Highlands are full-time, trusted, professional real estate agents. This means you will be teaming with a dedicated expert whose goal is to negotiate the quickest home sale possible with the highest net return to the client.